A new student came to see me once for a private session. She was very surprised by the number of questions I asked her before we even got started on movement. She shared with me that she had done a private session before with another teacher, who taught her exactly the same sequence she did in a group class and practiced alongside her for the entire session. To me that meant a missed opportunity and a disservice to the student. A private session IS NOT a yoga class for one student. It is an entirely different entity with its own structure and rules. Clearly, the main difference between a class and a private session is the number of students. But what does that mean exactly? Everybody comes to a yoga class for a reason, and those reasons will vary from student to student. Some reasons are specific (Ex: help with lower back pain), and others are more general (Ex: increase flexibility). A teacher may be aware of those goals or not, depending on the size of the class, how new the student is, whether or not the teacher asks, etc. Ultimately, the teacher sets the intention for the class. That’s why it can backfire if you ask your students to set an intention at the beginning of the class. You might have a strong energizing practice planned and a student might set an intention of becoming more calm and relaxed. Students usually seek private yoga sessions because they are trying to find a solution to some sort of problem (physical, physiological, mental-emotional). In a private session student’s goals set the stage for the entire practice. We begin with “What would you like to get out of your practice?” and then refine and prioritize. Doing private yoga sessions without specific goals is like being adrift in the sea of possibilities – you get pulled in different directions and may never get to your destination. In a yoga class, the student’s needs, wants and likes are generalized, while in a private session they are very specific, unique to that student. In both we need to know what these are and design the practice accordingly. 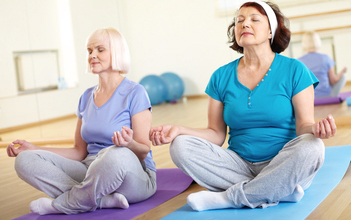 Let’s say that you teach a yoga class for seniors. 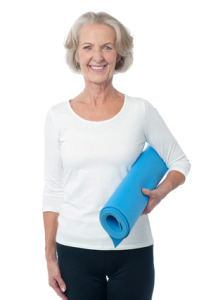 You are familiar with their needs: most seniors will benefit from a longer warm-up, simpler poses, some predictability of sequencing, and work on balance. Their wants for that particular day will vary from person to person, so you would usually decide what is most important for the group. As far as what they like, for your senior students you’ll know that they prefer to start on their back, do some breathing work, have longer Savasana and minimal sitting on the floor (or something like that). Designing a practice for an individual senior should be much more specific. Yes, she might benefit from the things that you have worked on in a class, but you will need much more information on what’s going on with her and what she is looking for to make her practice effective. Knowing her priorities will set the direction for your work together. You might discover that she is most bothered by stiff knees that limit her walking; or that she can’t sleep through the night and wakes up tired; or that she is having trouble focusing when she reads the paper. A carefully designed yoga practice can address any one of these concerns. Once you know what she wants to work on, you can select appropriate yogic elements and organize them in a way that targets the primary issue. Each student’s individual differences and personal preferences are also important to consider. She is much more likely to continue with the practice if it resonates with her on some level and suits her personality. If you give her a breathing technique that makes her feel lightheaded or a mantra that grinds on her nerves, no matter how appropriate it is for her CONDITION, it would not be appropriate for HER. We usually use the Panchamaya model in our initial assessment and discuss the challenges the student faces on each one of the 5 dimensions. In a class format you get your feedback from your students mostly from observing them in the course of the practice. Prior knowledge of injuries and physical limitations is certainly helpful, or somebody might voice their concern about a particular posture or request a modification. Based on that information you might choose to change some elements of the practice that you’ve intended to do. In private sessions both visual and verbal feedback need to go on continuously. Any element of the practice can be adapted, based on the student’s response to the practice. Sometimes it’s minor, like changing the arm position in a pose, and sometimes it’s major, like reorganizing the entire practice. 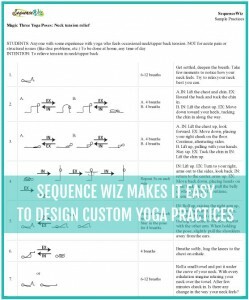 It’s an intricate process of fine-tuning the sequence based on the student’s experience with the practice (we will talk more about it in the next few months). The only way for us to know whether a certain practice has a desired effect is to have the student practice on her own. Why should they do a home practice? There is a limit on how much we can accomplish in one session or even one session a week. We need to empower the student, show her that change is possible and is a result of her own actions. The student needs to learn what she can do on her own to help herself. That includes being mindful of how she uses her body and mind in the course of the day (“yoga off the mat”) and appropriate yoga practice (“yoga on the mat”). Our job is to make sure that she is comfortable with her home practice (that’s why practice handouts are so helpful), check on her progress, and fine-tune the home practice based on her feedback. There is a lovely sutra in Patanjali’s Yoga Sutras (1.22) that can be loosely translated as “The speed with which you progress toward your goals is in direct proportion to your faith and the amount of effort you put into it”. Makes sense, right? If you practice occasionally and believe in it somewhat, it will take mu-u-uch longer. But if you practice often and with great conviction, you will achieve your goals much faster. That’s what the home practice is for. Usually, it is counterproductive to design a brand new practice at every private session. Our goal is to encourage a home practice, therefore we need to make sure that the student is comfortable with doing the practice on her own. In yoga HOW you do things is just as important as WHAT you do, so if the practice constantly changes, it is hard for the student to remember the important details that make a difference. We begin by developing an initial practice for the student based on what she needs, wants and is willing to do (usually we will start with 3-4 poses and some breath awareness). In consecutive sessions we usually check on her progress, review what she is doing, correct the mistakes, make slight changes based on her feedback and encourage her to continue practicing. We can judge the effectiveness of the practice only after she’s done it consistently for some time. Average class is usually 75 to 90 minutes long, which gives us more opportunity to spread out and cover all the “bases”. Private yoga sessions are usually 60 minutes long with some of the time spent on the student’s feedback and explanations about the specifics of the practice. The actual home practice that the student takes away is usually between 10 and 30 minutes in length, the average being about 20 minutes. We are all busy; very few of us have the luxury of a 75 min yoga practice every day. The practice needs to be concise and specific, every adaptation selected according to the student’s needs, nothing generic or random. The sequence continues to be refined during your work together. Yoga is a powerful and comprehensive system that was designed to affect the student on multiple levels – physical, energetic, mental-emotional and spiritual. For a yoga teacher, it is possible to facilitate this process in both group class and private session setting. The main difference is that in a yoga class the teacher is a leader who sets the intention for the whole group. In a private session the teacher is a partner, whose sole purpose is to support the student’s unique process of personal transformation. 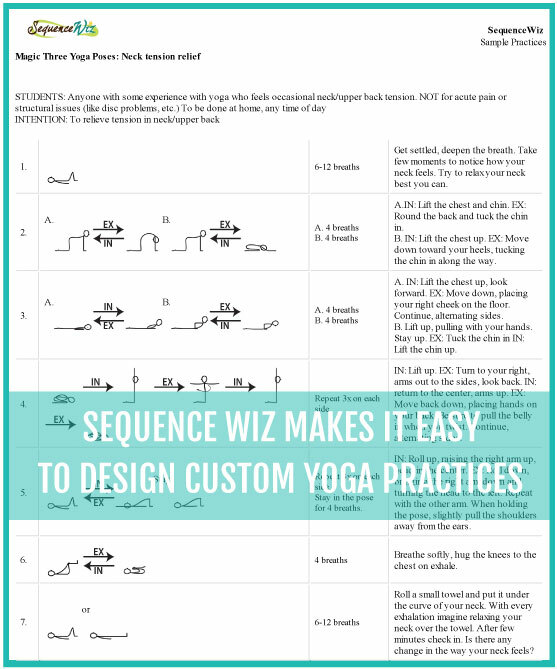 Join Sequence Wiz to use the sequence builder and receive exclusive print and video content. Private yoga clients: why do you need them, where to find them and how to work with them. I write as a beginning student. With all due respect to the many excellent points made here, I think one win-win for all concerned on privates is where the teacher offers a suitable group class for the student but then the student can also take a monthly (or periodic) private with that same teacher. I mention this because of sheer economics — a yoga private runs typically $75+/hour in contrast with $15 – $20 group class. 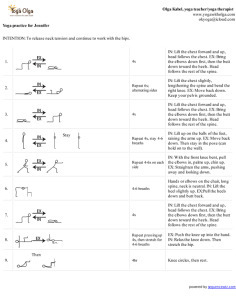 I am taking a twice a week 50+ yoga class (with a Yogalign teacher that I found indirectly through your blog– thank you:) and then I follow up with a private lesson with her as needed. Since the teacher has already observed my poses in class, we can use the private to hone in on areas where I am weak . I find this to be a very workable system and would recommend it to other interested students. Thank you for your comment, Monica! Sounds like you are getting the best of both worlds – you get to practice with the group AND get regular individualized attention from the teacher to troubleshoot whatever things come up. And the fact that you continue to come back for those private sessions shows that you take interest in your yoga practice, which is awesome! 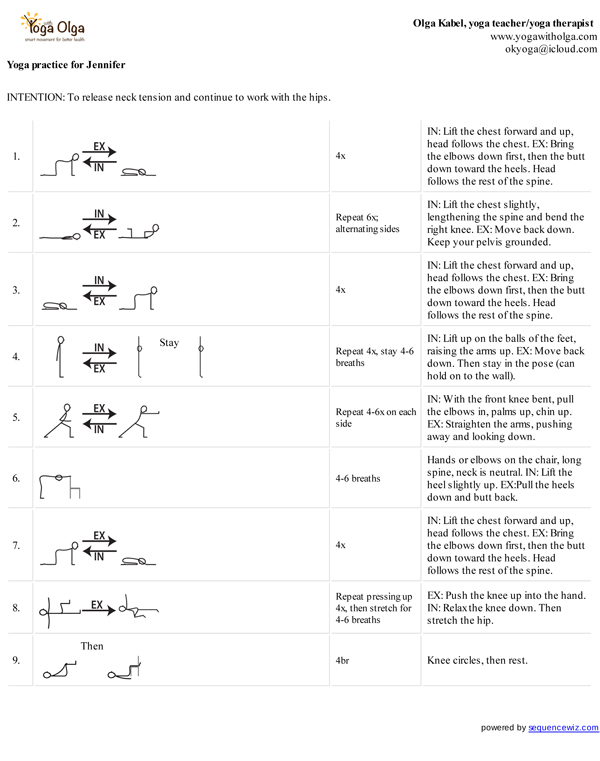 I would definitely recommend this sort of set up to anybody who is interested in advancing in their yoga practice and making it truly their own. Came across this article in searching for differentiation between private yoga sessions and yoga therapy sessions as delivered by a certified yoga therapist. It seems there is a lot of education needed to the public and to the yoga community as to what the differences are here. In your article it seems you are asking a possibly 200 hr teacher to do private sessions almost as set up with many elements of a yoga therapy session. It is further challenging and delicate to talk about yoga therapy in a way that does not get the majority of everyday yoga teachers defensive about the scope of what they teach and doe in “private sessions”. As a professional in the medical rehabilitation field for 30 years and a yoga teacher for 23 years, it is very hard to navigate differentiating what you have to offer as an experienced professional, spending several years additional time and money in the evolving field of yoga therapy. So often so many in the public think all yoga s therapeutic and most yoga teachers have the same training and experience.